Doubts about its future are hurting Opel's new-car sales. Opel will begin selling cars in Israel next year as part of General Motors Co.'s strategy to expand the Germany-based brand outside Europe. 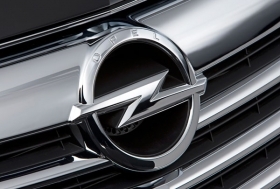 "The relaunch of the brand in Israel is an important step to strengthen Opel's presence in growth markets," the company said in a statement. Opel is preparing to enter more export markets including China, South America, Australia and other Middle Eastern countries. "The company expects excellent growth opportunities" in those markets, Opel said. GM has in the past shied away from aggressively selling Opel cars in markets outside Europe because of fears that they could cannibalize sales of its other brands such as Chevrolet, Buick and Australia's Holden, which use Opel technology. But Opel CEO Nick Reilly as pushed for a change of strategy to reduce the brand's dependence on the stagnating European market, where Opel's and UK-based sister brand Vauxhall's car sales fell in the first six months by 4.5 percent to 536,258, according to ACEA, the European carmakers association. Israel's Shlomo Group, which started as a car rental company and is now a diverse holding group, will import and distribute Opel cars in the country, starting in early 2011. "We are pleased that one of the strongest industry players in Israel, the Shlomo group, will represent the Opel brand in the future," said Michael Klaus, Opel's international operations chief. "With our attractive new products like the Insignia and Astra we will re-position the Opel brand in the Israeli market."